The fly fishing on the Paradise Valley Spring Creeks, particularly DePuy’s Spring Creek, is the only thing in Montana better than skiing in March. The weather has to play along, but when it does it can be as good of fly fishing for wild trout as you can find anywhere. And our Montana Spring Creek fly fishing guides have the experience needed to help you catch them. March is pre-spawn on the Paradise Valley Spring Creeks, but many of the rainbow trout and cutthroat trout will move in from the Yellowstone River. In certain places it is common to see the shadows of dozens of fish in each run. Our guides and anglers both love it. Fishing stays great through the end of May with hatches of midges and BWOs, but the creeks are critical spawning ground for native cutthroat trout so we avoid fishing once they are on their redds. It is unethical to fly fish to spawning fish and against what we stand for as a Montana fly fishing outfitter committed to conservation and fair angling tactics. We will leave it at that. Some of the Paradise Valley Spring Creek property owners close stretches with high densities of spawning fish and redds. 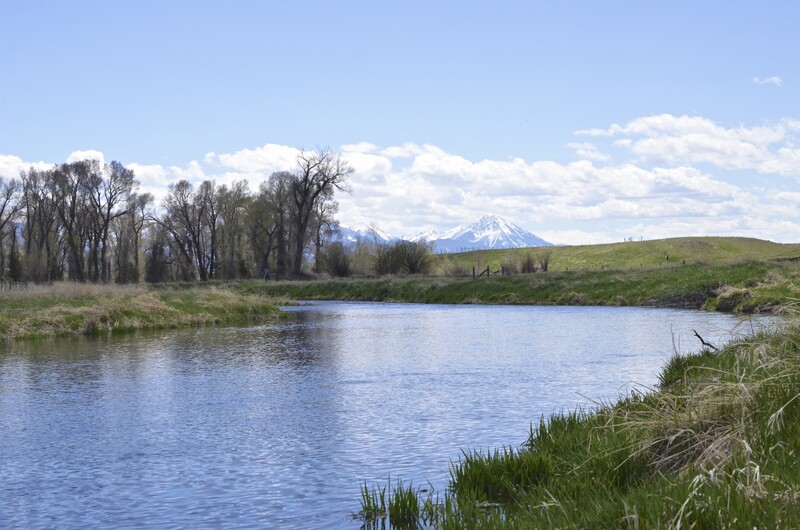 There can be great fly fishing in between these spawning areas on the creeks that can make for great Montana Spring fly fishing trips.